It's tough to fault director Gore Verbinski's ambition when it comes to A Cure for Wellness. The film he's trying to make is one we don't really see very often any more - the kind of messed up, nothing is off limits psychological thriller that relies on enigma and mystery and late plot twists. It's very much style over substance, but this is the genre where that can work as an advantage, just look at The Neon Demon. The issue here is that, while Verbinski's ambition is respectable, the film he's made struggles to lay the same claim. A Cure for Wellness is deliciously messed up, but ultimately not all that engaging. It's a simple story, and an admirably focused one. It's very easy for films of this type to overload you with narrative developments (the somewhat similar Shutter Island very nearly did this) but A Cure for Wellness starts to add layers to its complexity early on and never overcomplicates it. Which is why it's unfathomable to me why on Earth this film clocks in at nearly two and a half hours. 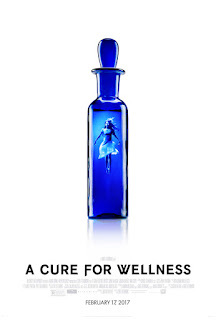 The plot for A Cure for Wellness is built to last a sturdy ninety minutes, it could probably crack a hundred at a push. But 144? That's just self indulgent. And it seriously damages the film. It takes a long time for Lockhart to start investigating things, caving in to pointless detours down odd B-plots and spending far too much time with them. 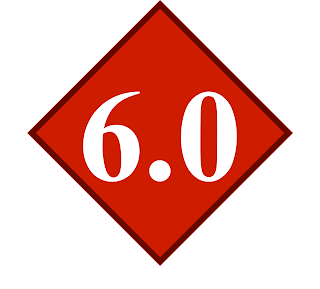 It throws the film's pacing completely off balance, the previously mentioned narrative complexities come in around the mid way point but the film waits until its final half hour to reveal any of the truth. It forces us into an uneasy place; for far too long we have all the keys to the mystery but the film refuses to let us open the box and see what's inside. This bloated runtime is also frustrating in that, despite the film's length, A Cure for Wellness has little intent on developing its characters. This isn't a film that cries out for complex and thoughtful characters with multi layered motivations - you'd be a fool to want that here, frankly - but the emptiness of everyone in this film is staggering. Lockhart's sole motivation comes down to pleasing his bosses, which is fine, but once things start to get really messed up his motivations just disappear. There's no game changing moment for him, nothing to spur him into action beyond one small reveal that anyone paying attention will have seen coming a mile off. All of that said, though, I'm a sucker for weird and messed up stuff. And oh boy is there some weird stuff here. A Cure for Wellness doesn't quite match the lesbian necrophilia and eyeball vomiting extremes of The Neon Demon, but with its eel baths and incestuous relationships and violent dentistry, it does enough to satisfy those parts of us that want something a bit more abnormal. A later scene involving Lockhart hooked up to a machine with a funnel forced down his throat will have you squirming long after it ends. As well as the weirdness, A Cure for Wellness is saved by its performances and cinematography. There's rarely a badly delivered line across the film, and what DeHaan does with his two dimensional character is impressive. We don't really care about Lockhart, but DeHaan makes us root for him at least. There are a handful of breathtaking shots across the film too, especially a stunning one of Lockhart and fellow patient Hannah on a rooftop overlooking the mountains, and whenever the film shifts into "messed up mode" the framing is brilliantly unsettling. 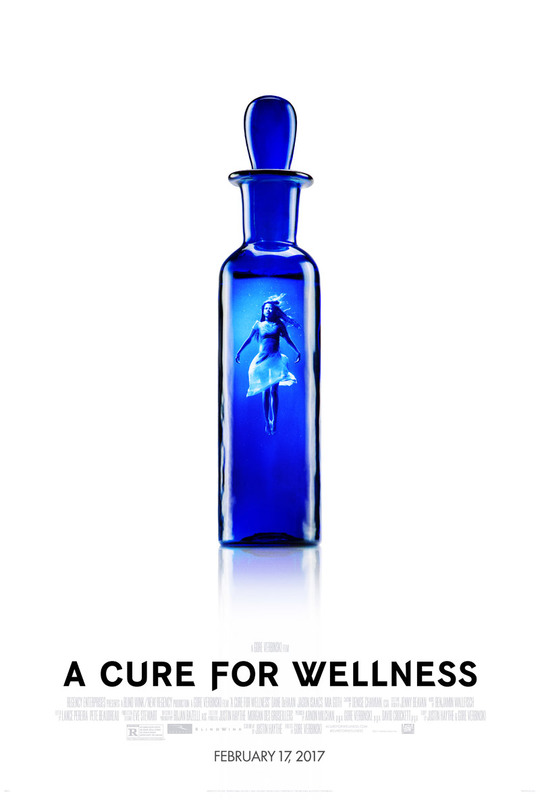 It's frustrating that A Cure for Wellness doesn't fully come together. Earlier on I criticised the film for being self indulgent, but every film of this nature needs to be - but it also needs to find a way to make this self indulgence work. Verbinski has some great ideas here, but his unforgivably bloated runtime is ultimately the killer blow. It pushes the story, pacing and character work off key, and leaves us with little more than a haunting atmosphere and some great performances. Well, and the weirdness. That kinda works too. To Summarise: Deliciously weird and delightfully eerie, A Cure for Wellness offers just enough atmosphere and mystery to outshine its uneven pacing and woefully two dimensional characters.